The passing of Edith Mary Gembicki at age 91 on 11/24/18 at the Oak Lodge Senior Home Assisted Living Facility in Pasadena MD. She was a talented artist and former teacher at the Kindercare in Pasadena, and the loving wife of her husband of 56 years, the deceased Stanislaw P Gembicki (Jim). She had four children, 10 grandchildren and 4 great grandchildren: Stanislaw P Gembicki, Jr. (Jim) and his wife Sandy, and sons Stanislaw P Gembicki, III (Jimmy), his wife Lorie and daughter Ella; Jason Gembicki, Joshua Gembicki and his wife Laura and their daughter Tola and son Brishen, and Jeffrey Gembicki. Deborah M Dobrosielsky and her husband Joseph, and their son, Scott Dobrosielsy and his wife Jaime. Mary E Leidig (Meg) and her husband Joseph, and their daughters, Elizabeth Coleman and her husband Joseph and their daughter Addison, and Jacqueline Allen and her husband Matthew. Mark P Gembicki and his wife Stacey and his daughters Emily Punt and her husband Travis, Kate and son Cole. 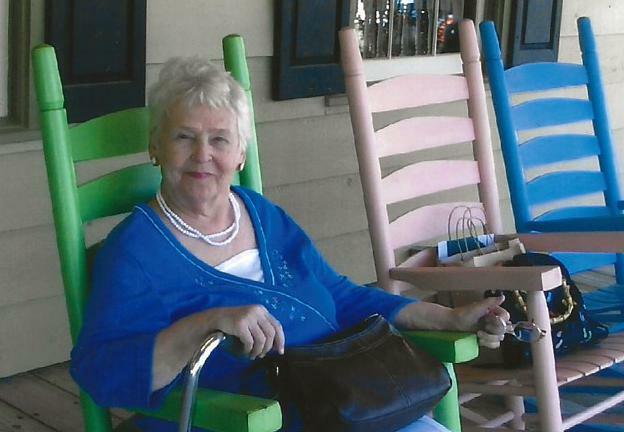 Her service will be held at the family owned and operated McCULLY-POLYNIAK FUNERAL HOME, P.A. (PASADENA) 3204 Mountain Rd, Pasadena MD 21122 on December 21, 2018. Opportunities to meet with the family will begin at 1:00 pm with the service at 2:00 pm and a reception with hors d’oeuvres and refreshments after the service. In lieu of flowers the family requests donations to the St. Jude Children’s Hospital in Edith’s memory.